CN train L51081 heads south on Byron Hill. Two units -- including a DM&IR SD38 -- easily handle the train's four cars. 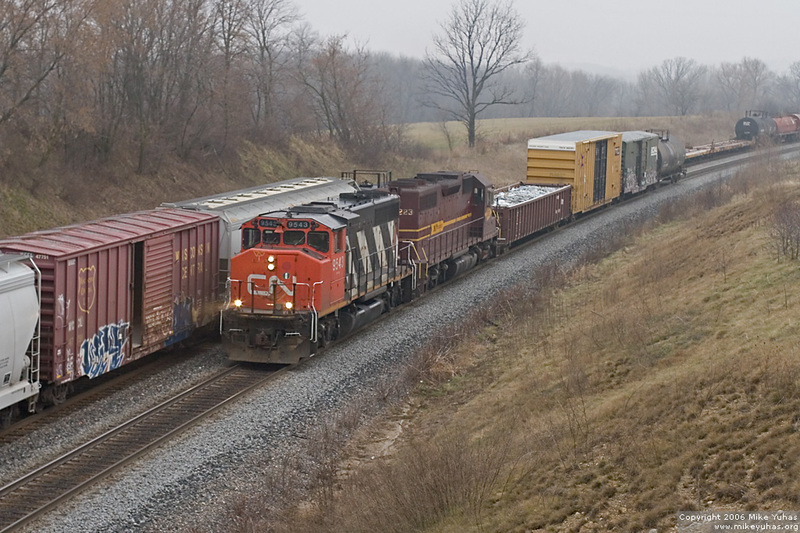 There will be pickups and setoffs before the train leaves CN rails at Duplainville. The train will turn at CP's Muskego Yard in Milwaukee, then head back toward Fond du Lac.